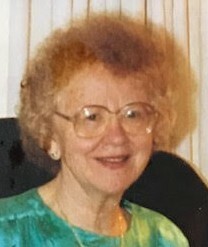 Clark- Jane Smiley Cronin Scanlon, 95, passed away Tuesday, June 19, 2018 at her home in Piscataway. Born in Manhattan, NY to John and Janet Cronin, she attended high school in Highland Park, Michigan where she discovered a life-long passion for physics and mathematics. She graduated from Wayne State University with a B.S in mathematics, and ultimately received a PhD from the University of Michigan in mathematics in 1949. Jane accepted a post-doctoral positions at both Harvard and Princeton and taught at Wheaton College in Massachusetts for several years. She spent many years teaching at Brooklyn Polytechnic Institute before accepting a position at Rutgers College as a full professor of mathematics in 1970. Jane had a great intellect. Her research interests in mathematics were broad, spanning both pure and applied mathematics. She is the author of numerous research papers and books, including a widely used textbook in Advanced Calculus. Jane’s research was considered ground-breaking and original. She mentored and sponsored many students in mathematics who were pursuing their graduate degrees, and was a very popular teacher and lecturer. Jane attended conferences in mathematics all over the world, including the Soviet Union, as well as Eastern and Western Europe. Her professional career spanned more than forty years, and she retired as professor emerita in mathematics from Rutgers University in 1991. She continued her research in mathematics, working with other scientists in physics and medicine, until the last two years of her life. In addition to her professional interests, she enjoyed walking, fencing, literature, poetry, history, genealogy and antique furniture. Her literary interests were broad and included Shakespeare, Tolstoy, C.P. Snow, Agatha Christie, Maeve Binchy and Mary Higgins Clark. Her favorite places were Boston, London, Budapest, as well as numerous sites in Greece. Visitation will be held at the Krowicki Gorny Memorial Home, 211 Westfield Ave., Clark on Friday June 22nd from 4-8PM. There will be a Funeral Mass at St. John the Apostle Church on Valley Road in Clark at 10am Saturday, June 23rd . Entombment will follow at Resurrection Cemetery in Piscataway. In lieu of flowers, please consider memorial contributions in her name to St Pauls’ church of Highland Park NJ.